Please complete the form below and your enquiry will be sent directly to African Horse Company via email. Your enquiry has been sent to African Horse Company. 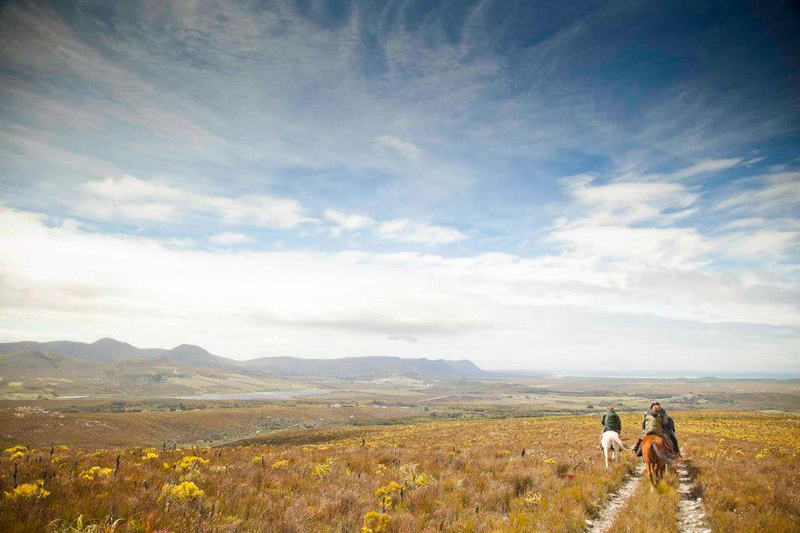 African Horse Company is an eco-adventure company that offers outrides and overnight trails, ranging from one day to ten days. 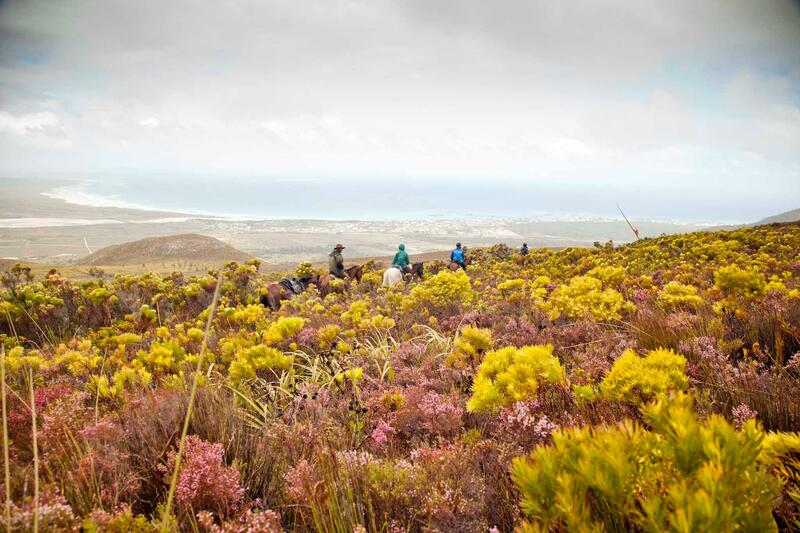 Based in the heart of the Cape Floral Kingdom, the terrain covers unspoiled white sandy beaches, fynbos and vineyard-covered mountain slopes that offer you a fauna and flora feast for the eyes, mind and soul. There is something truly special about the bond between horse and rider and something magical that happens on the rides. 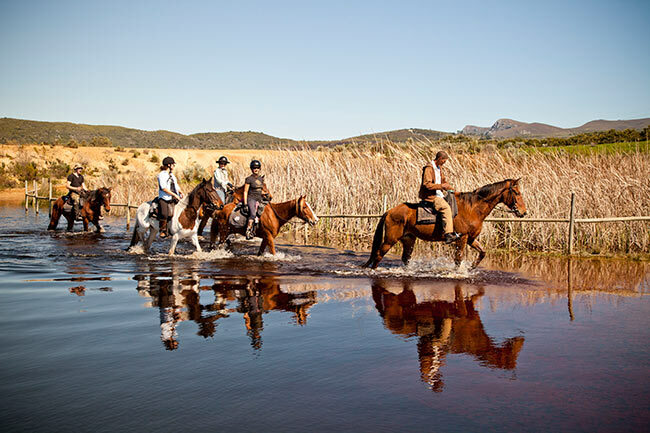 Memories that will be cherished for years to come are created and the trails are great for bird watchers, wildlife photographers, nature enthusiasts and those riders just needing to disconnect and gear down from their busy lifestyles. 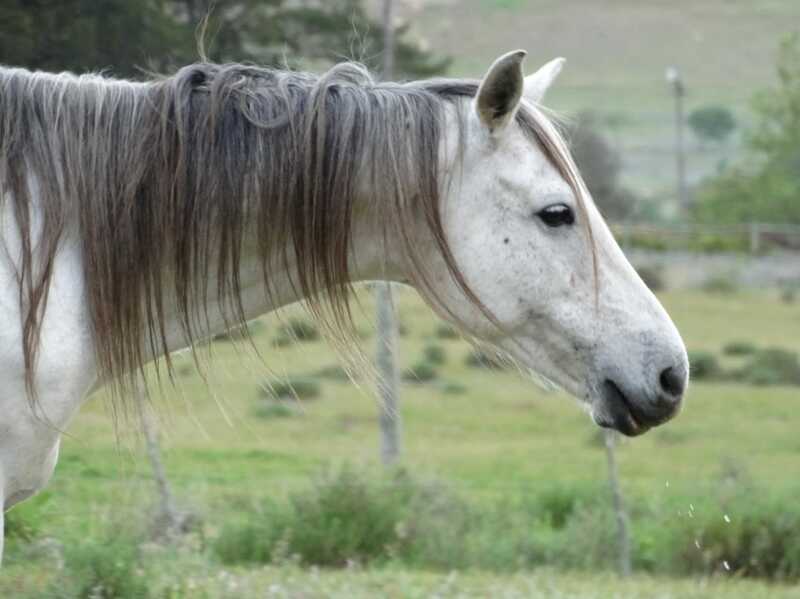 Click on ‘More Info’ below to find out more about African Horse Company. “In company of horses - in balance with nature”. This is the motto of the African Horse Company and it offers a beautiful insight into the soul of the enterprise. Howard Krut, the man behind the company, has come a long way since he sold fresh produce from a horse-drawn wagon in the Oude Molen Eco Village in Pinelands. 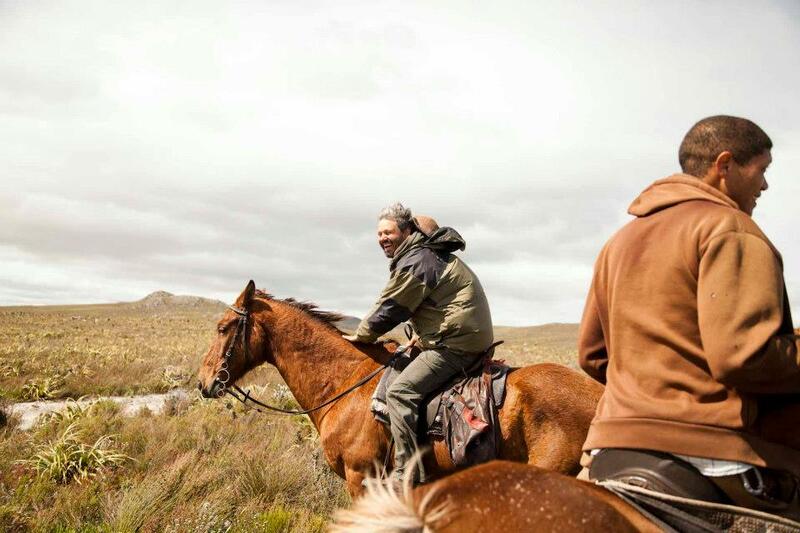 In fact, he has travelled across the Cape Floral Kingdom on horseback and has made it his mission to share that experience with as many people as possible. 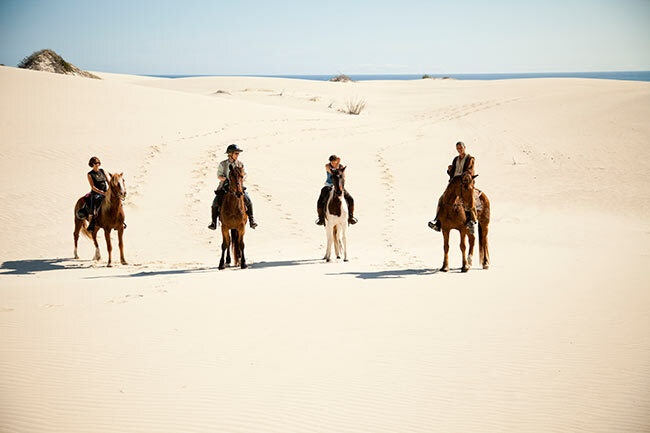 After moving to Stanford and establishing The African Horse Company, Howard began offering mountain rides, beach rides and then overnight trails in 2007. 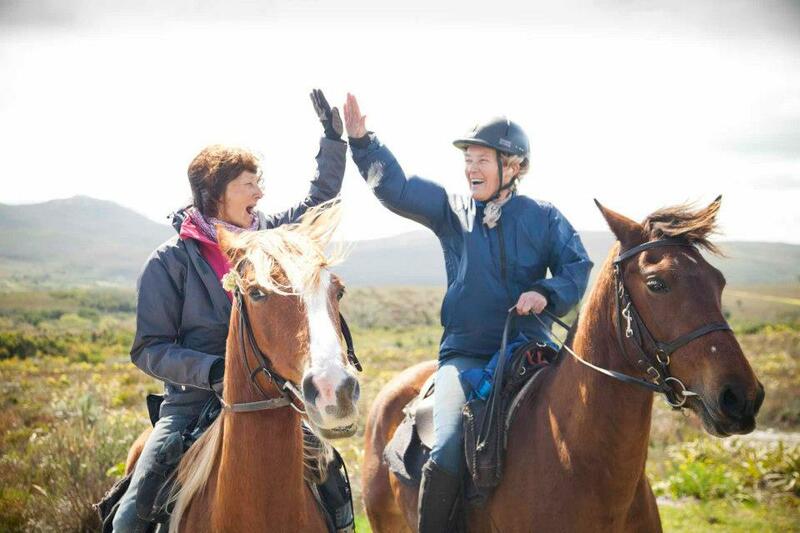 The focus of these rides is on honouring the long-standing bond that has existed between man and horse, horses having long been our working partners and friends. The 25 horses that work for The African Horse Company roam freely on the 3000 hectare farm in Stanford and are good natured and relaxed. 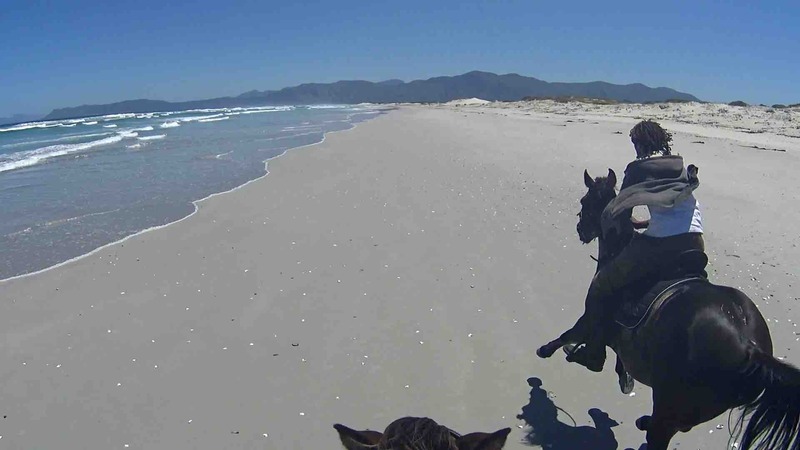 Crossbred with Arab, Boerperd and Friesian blood, these steeds are agile and hardy, perfect for long distance journeys across varied terrain. 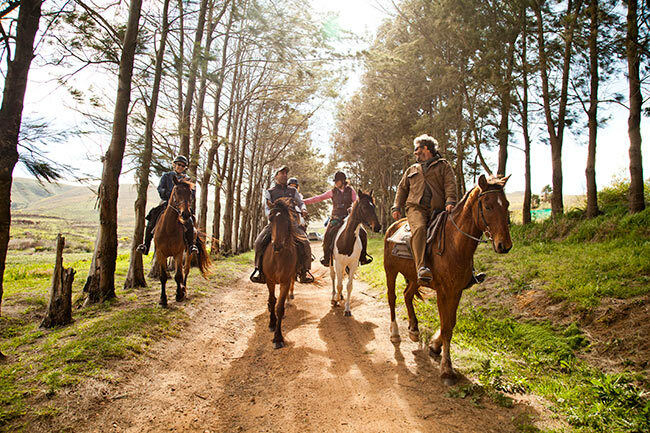 The essence of an overnight trail is the journey and this journey begins at African Horse Company's base camp, Farm 215. The fully-guided cross-country adventure will take you across unspoiled beaches, untouched mountain trails and through an indigenous Milkwood forest. 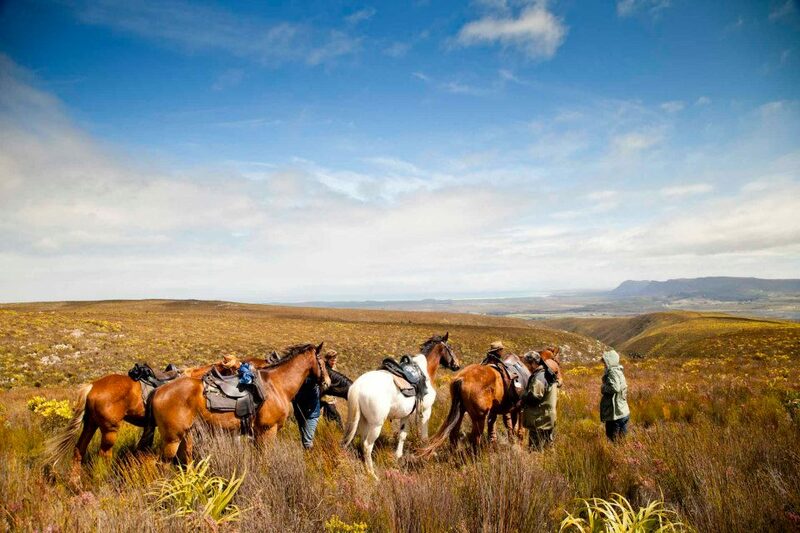 Observe the ever-changing landscapes of the Overberg’s Cape Floral Kingdom from a whole new angle, with eyes free to take in the natural beauty as the horses do the walking. 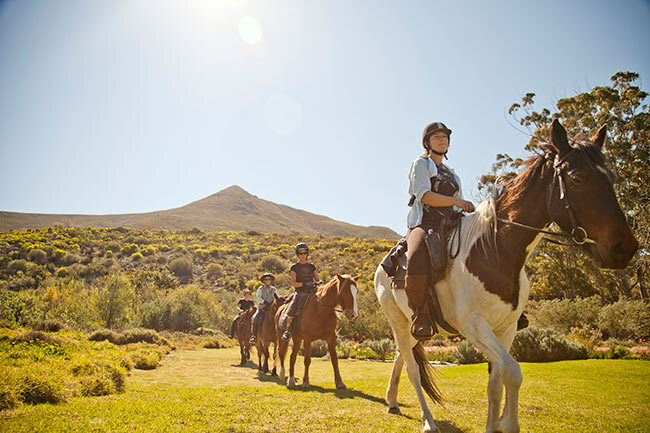 Work your way over fields of fynbos covered mountain slopes, through vineyards and farmlands, exploring territory that isn’t accessible on foot. On warm days, enjoy a refreshing swim in a dam, as you traverse some of the old wagon trails dating back to a time when life was just a little less hurried. The overnight trails are vehicle supported and wholesome meals are prepared for you at the self-catering guest houses en-route. 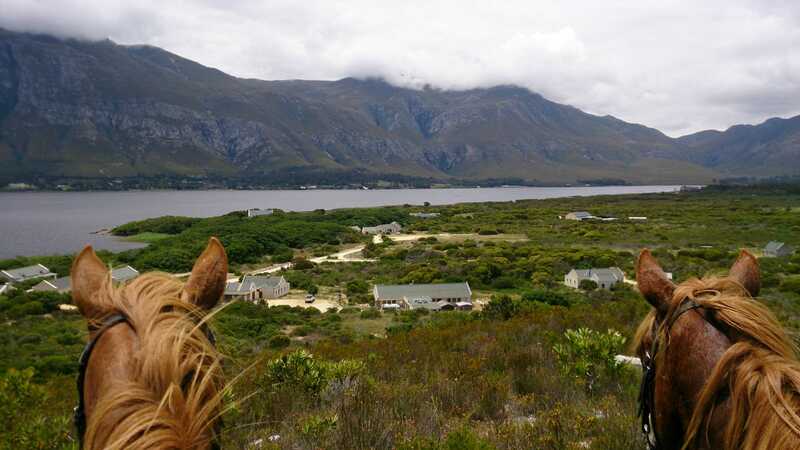 A highlight of the journey is exploring the Walker Bay Nature Reserve as well as a few smaller private reserves. 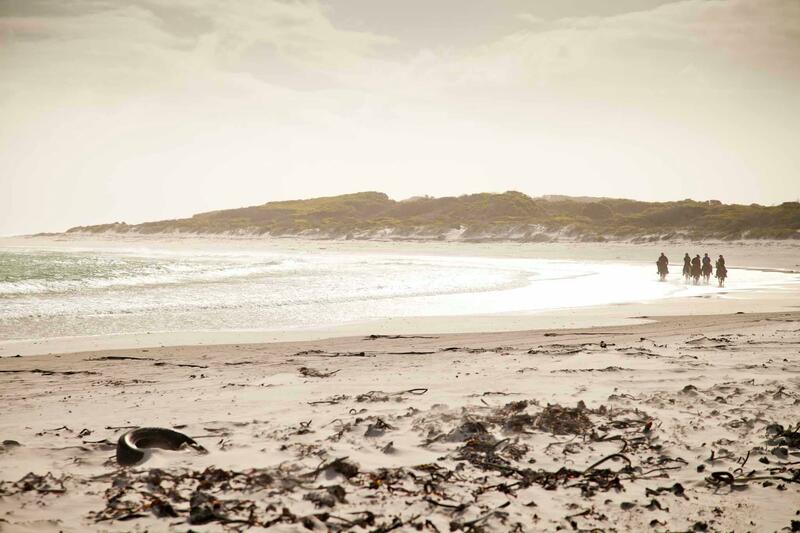 Between June and December Walker Bay is host to Southern Right Whales and De Kelders becomes the best place on earth to view these gentle giants of the ocean. 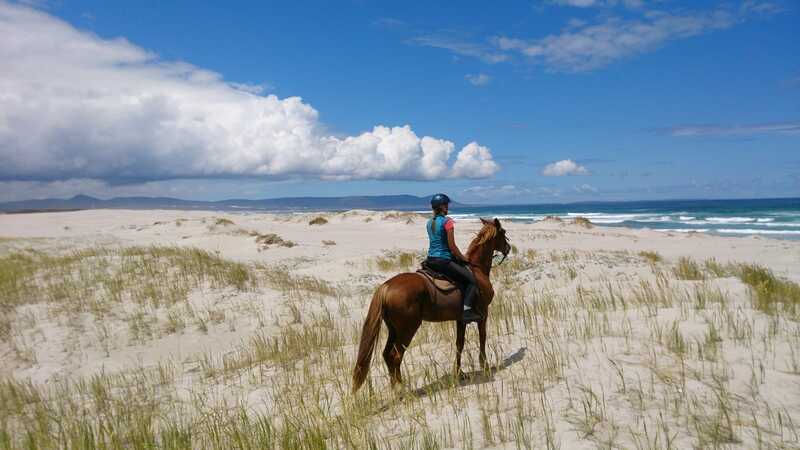 Your ride will take you across pristine white sandy beaches, with space to gallop, where you and your horse can enjoy a dip in the ocean at the end of a long day’s ride. Groups for these rides can be between two and eight riders. 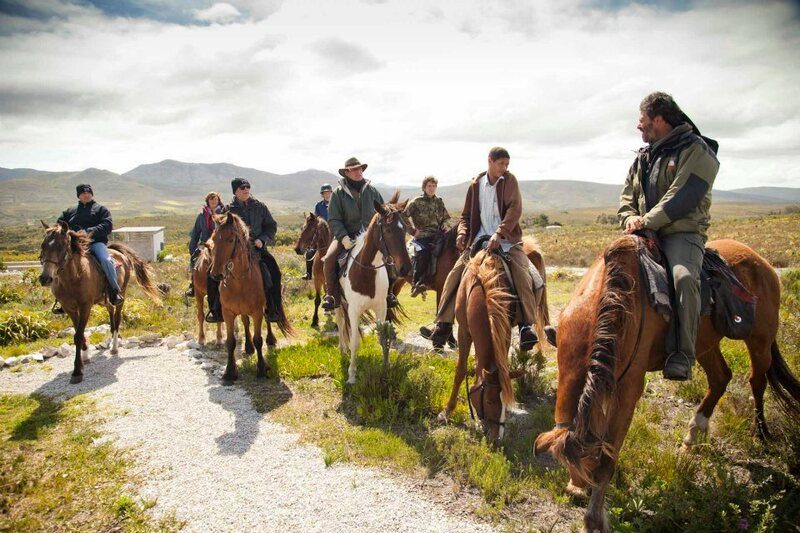 Trail lengths are customised to suit the riders, but can stretch up to 40 kms in a day, making this an incredible way to cover so much of the beautiful Overberg’s varied terrain. Contact the African Horse Company to reserve your seat in the saddle. 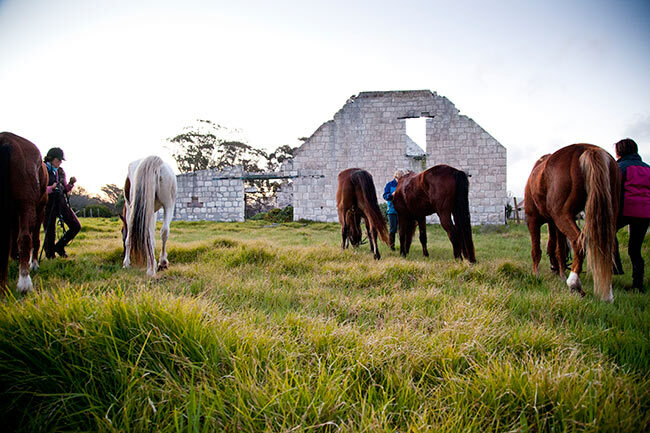 Enjoy overnight stays in various homestead retreats, such as the tranquil Bodhi Khaya Retreat and the luxurious Farm 215. 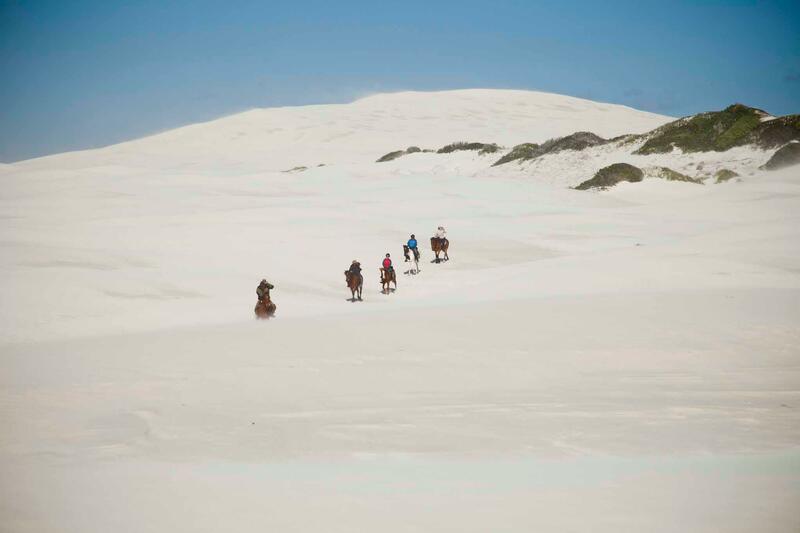 A certain level of skill and fitness is required for trail riding and riders must be happy at a trot and comfortable at a canter, as well as being physically prepared for long hours in the saddle. 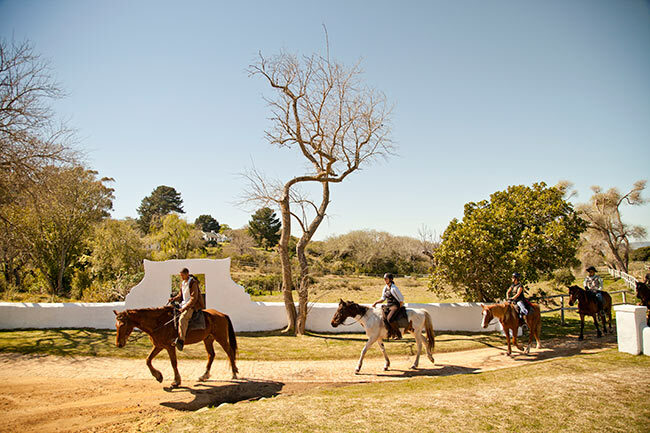 The trail has two ‘out of the saddle’ half-days, set aside for relaxation and body rejuvenation. Travel medical insurance and sun protection are essential. Although hard hats are supplied it is suggested to bring your own chaps. “Get outside and enjoy nature, and let tomorrow take care of itself”. 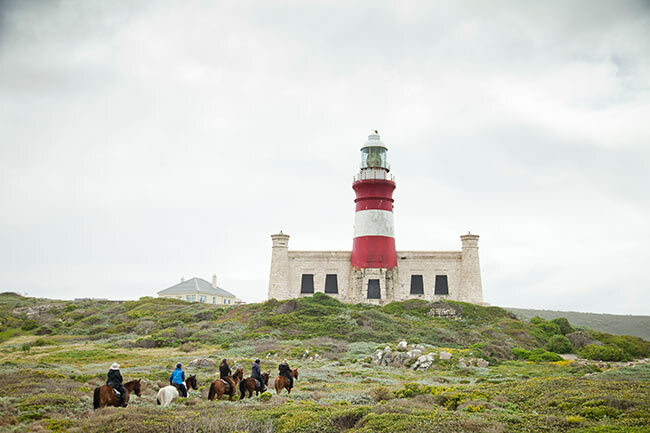 Riders who have less time to enjoy the splendour of the area on horseback can join one of several shorter rides. One hour costs R350 per rider. Two hours costs R600 per rider. Three hours costs R800 per rider. These rides usually take place at 9.30am or 3.00pm, to catch the best of the fresh early morning or a stunning sunset in the evening. Contact the African Horse Company to discuss options. Description : AHC Horse Trails Itineraries. Description : Hourly rates up to November 2018.